Whatever their age, most students complain that they have too much homework. Over the last 20 years as a teacher, I’ve heard all sorts of excuses about why homework hasn’t been done. Of course, there are also plenty of valid reasons for not getting it done. Sometimes there genuinely is too much homework to do in the time allocated. Many students struggle to do what’s asked of them for want of somewhere quiet to work, or because they have too many other commitments that can’t be avoided. But it’s also true that virtually everyone could reduce the stress associated with homework by applying some simple time management skills. Each time we get given work to do with a deadline, our ability to manage time is tested. This can take many forms, but the bottom line is simply that work didn’t get done because other things took priority. Something else was more important, more appealing or just plain easier to do. Homework gets left until, all of a sudden, there is too much to do in not enough time. The good news is that time management skills can always be learnt and improved. There are plenty of tips and techniques for overcoming procrastination on this site, but the following ideas may also be helpful if you feel you have too much homework. The starting point for dealing with too much homework is to accept responsibility for getting it done. It’s yours to do, and yours alone. Let’s be honest. For most people, homework is a chore. Until there’s a massive change in attitudes towards home learning, it’s here to stay. With that in mind, the best thing is to adopt a positive ‘get it done’ attitude. If you accept that it has to be done (rather than the consequences of not doing it), you only have to decide when and how to do it. This may seem an obvious point, but writing down exactly what you have to do and when you have to do it for is an important step to take for getting organized with homework. Use a simple planner and keep it open at the current page you’re using so that you can remind yourself what you need to do. Not everyone has somewhere to work. If you do, how easy is it to use? Whether it’s a kitchen table or a place in your own room, you’ll do more if you've got somewhere that you can use regularly. You’ll do even better if you tidy up a messy desk. Make sure you’ve got everything that you need to hand so you can find it quickly when you want it. Get into the habit of putting things back after you’ve used them. This is a great way to stay on top of your work. The temptation is to leave things until the last minute because that’s when doing it really matters. Unfortunately, that’s also when it is most stressful, and there’s no margin for error. 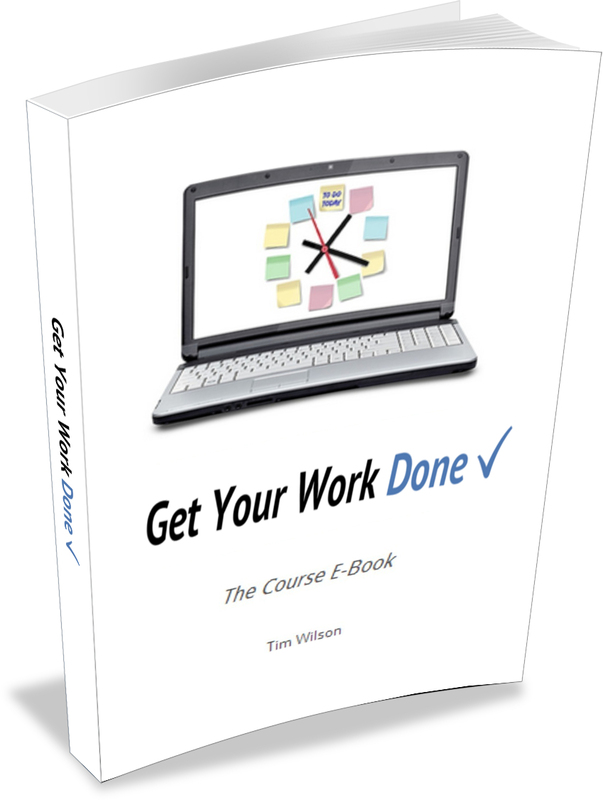 Next time you get given a project, assignment or piece of work, start it on the day after you get it. You don’t have to finish it; just do as much as you feel like doing. Whatever you don’t get done, you carry on with the next day. You do it without feeling overwhelmed because you can stop whenever you feel like it. More work will get done before the day it’s due to be handed in. The 80-20 rule states that, in life, we get 80% of our results from 20% of what we do. This is really useful if you feel you have too much homework. Why? Well, it could be that you are doing some things too well. Obviously some things are either done or they’re not. But often, it’s easy to spend too long on something just with very little to show for your efforts. I’m not saying that you should produce poor quality work. But do be aware of perfectionism. Try to get better at knowing when your absolute best effort really is necessary, and when good enough is good enough. Sometimes, ‘too much homework’ means "I’ve left it too late, and now I’ve got too much to do". This can be avoided if you start it the day after you get it. And the best way to do that? Make it as easy as you need to. Can’t face all of it? Time box half an hour. Or 10 minutes. Even 2 minutes if that’s all you can cope with. How much you do is less important than the fact that you actually do something. Phones, friends and social media will stretch out the time you spend working. We all have to be aware of wasting time online, so the less you do it, the quicker you can complete your work. The amount of homework you have varies from week to week, but the tips above may just be the answer. If so, you’ll have learned some valuable skills and turned too much homework into a manageable amount. Having said that, it can get to the point at which you feel that there really is too much to do, and not just at the moment. If and when you reach the point at which, despite your best efforts, you consistently feel you have too much homework, tell someone. They say a problem shared is a problem halved, and it’s true. Talking to someone will help. Talking to someone who is in a position to help you do something about it is even better. In terms of getting things done, developing good study habits can make a massive difference, but sometimes there’s just too much to do. This can be a real problem unless you tell someone, so don’t keep it inside -- get some support. If I sold an e-book for students on this site what topic would be most helpful?